Earn $6.19 in Rewards credit (619 points) What's This? Another gear to help gain precious seconds. 11-speed drivetrains are smoothing out the jump between shifts so you can spin just the right cadence so you can go faster for longer. 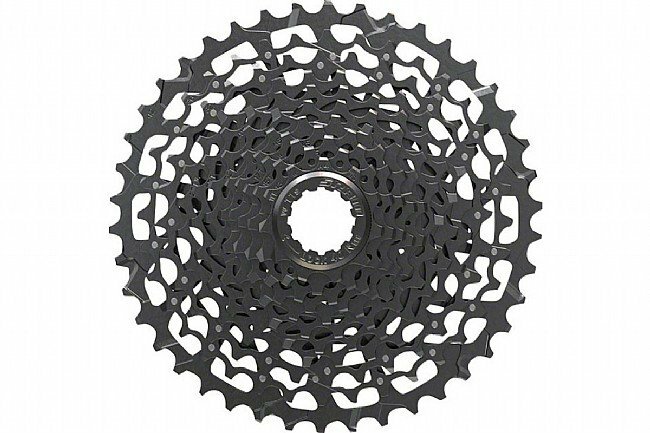 The SRAM PG-1130 11-Speed Cassette is the perfect choice for Rival 22 drivetrains, combining performance and affordability. 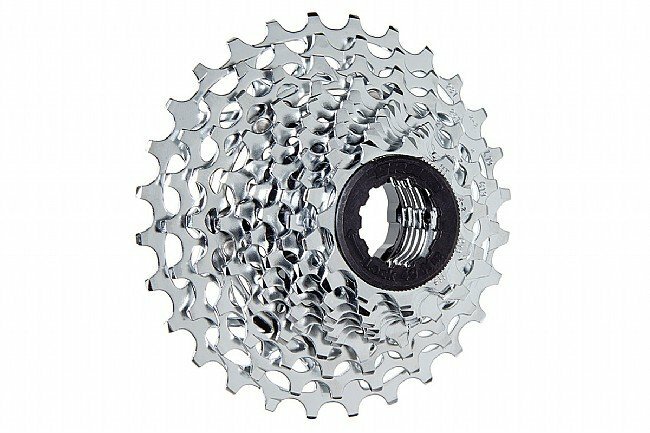 Heat-treated steel cogs provide excellent durability while allowing for the precise shifting that SRAM drivetrains are known for. An aluminum spider helps shave weight and so does removing extra material from the cogs themselves. Available in three different gear ranges. Lockring is included. Got this to make my daughter's cx1 equipped cross-bike into a hill climbing road bike-perfect! Make sure you get a chain to accommodate the longer length needed. She's climbing like a goat! Built up my crud weather commuter bike with Apex 1, and this 10-42 is nice and bombproof. Weighs a ton, but if you expect that, it's a great economical option for large range. The black finish wore off quickly in the grime, but it hasn't been prone to any rust yet. Shiny and loud. Works great. Love the sound it makes as it clinks into the right gear. Definitely louder than Shimano drivetrains which may be a procon depending on your preferences. Works well with my 1x system - no grinding when shifting, no noise when pedaling, just the weight penalty for going with a lower end cassette which only matters if you are a weight weenie or racing at the highest levels. I bought this cog set for those few rides that I do that have humongous hiills. I always wanted one more gear to get up those higest of inclines. This fits the bill. The price was right. I've used it a couple of times and all is good. I did at one chain length to the chain to accommodate the 36 tooth gear. I recently purchased a new Cannondale with SRAM WiFli rear deraileur capable of 32 teeth low gear but mine came with a 28 tooth low. I'm fairly experienced with bike maintenance so replacing one cassette with another wasn't a big issue. The price was right (on sale) and I applied earned Credits from previous purchases plus Free Shipping! A great value and I love having that bail out gear here in Sonoma County, CA.